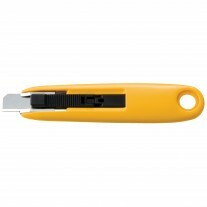 This heavy-duty knife features an anti-slip, rubber grip handle for professional comfort and maximum performance. 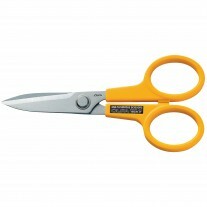 An acetone resistant, elastomer handle with a poly-acetate blade-lock makes it an official acetone resistant cutter. 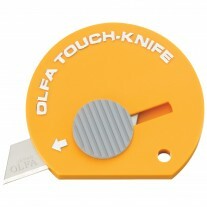 It features an automatic blade lock and a heavy-gauge stainless steel blade channel that holds blade tight. Blades are made from high quality carbon tool steel are produced using OLFA precise multi-step production process for unparalleled sharpness and superior edge retention. 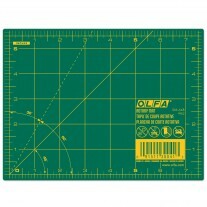 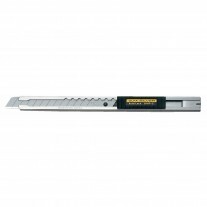 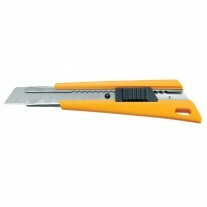 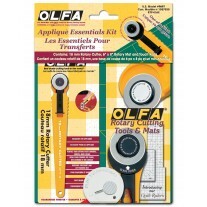 Long lasting, durable snap-off blade - a new sharp edge with each snap. 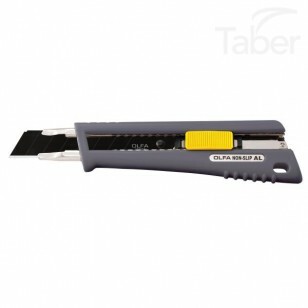 Easy, tool-free blade change for convenience.